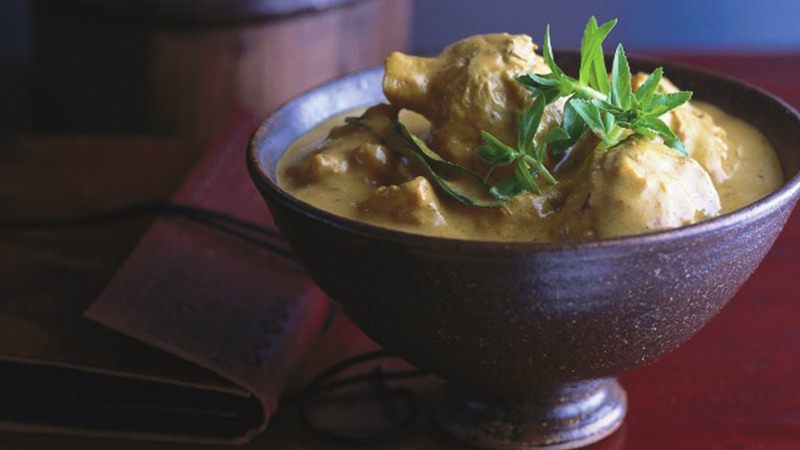 A dish born in the Indian subcontinent, curry has been adopted and adapted by many cuisines, from Thailand to Malaysia and Japan-via-Britain, with each culture applying their own configuration of herbs, spices and fresh ingredients to create something entirely new. 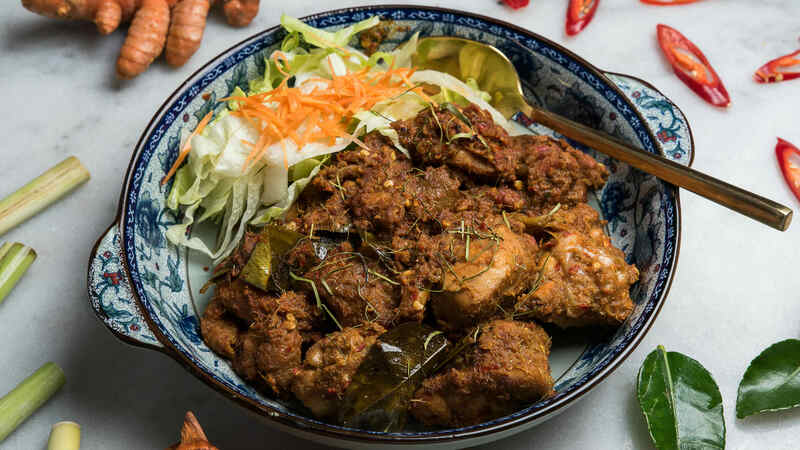 Next time you’re hankering for a serving of rendang, palak, or kang som pla, hit up one of these top curry houses around town. 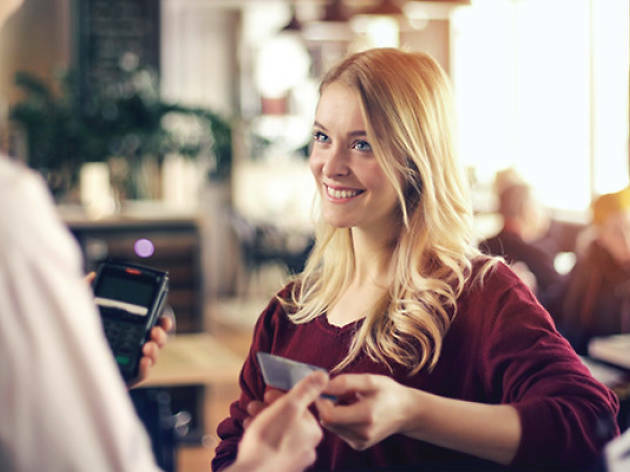 And after you’ve used your roti to mop up every last drop, you can pay in confidence knowing these venues welcome American Express. Be warned, they make no concessions on heat here at the Sydney outpost of David Thompson’s acclaimed mod-Thai empire. 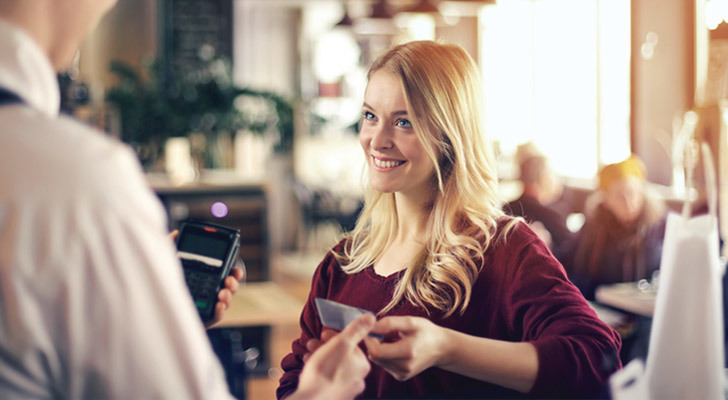 While Long Chim’s curries come at a premium compared to your local takeout, upmarket ingredients, polished service and exactingly cooked plates work hard for your dollar. 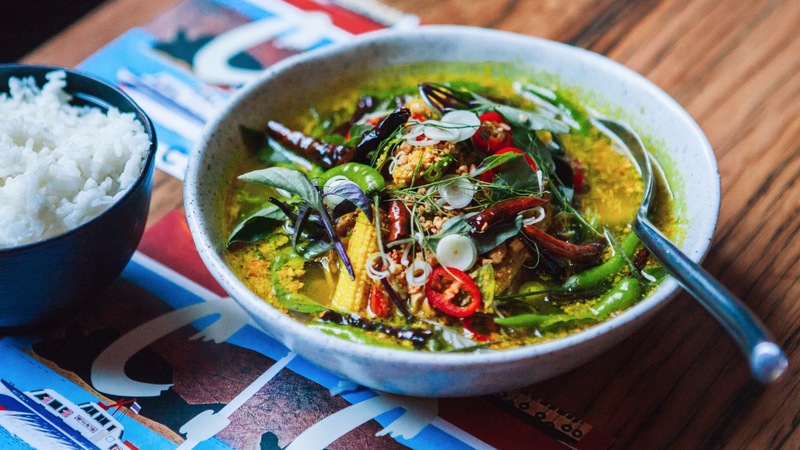 Spend it on the mashed prawn curry – high notes of ginger, galangal, turmeric and lemongrass play off the sweetness of prawns and silkiness of coconut milk in a broth that’s masterfully complex yet finely balanced. 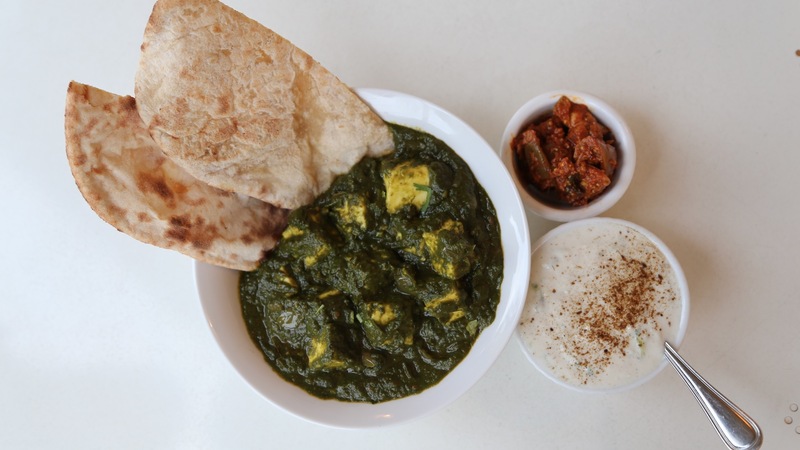 This neighbourhood institution has been feeding the Inner West dependable Indian classics for some 30 years, even spawning a ritzy sister fine-diner on the Woolloomooloo waterfront in the process. 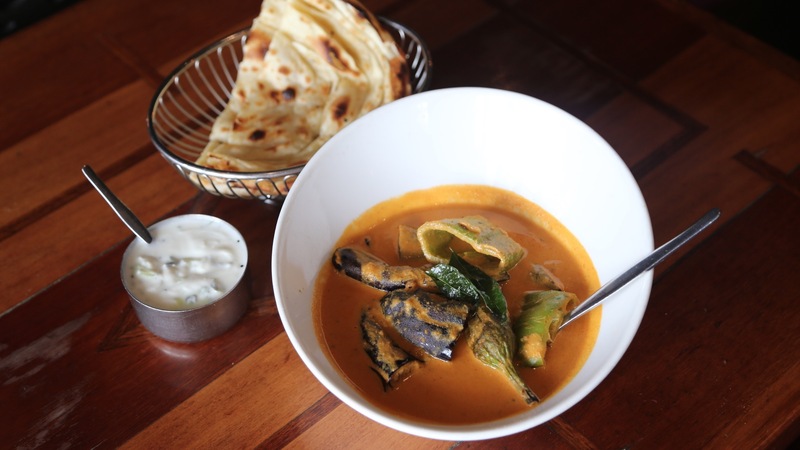 While crowd favourites include a thick and fragrant Goa fish curry and delicately sweet goat number, where Abhi’s (and Indian cuisine in general) shines brightest is in proving you don’t need animal protein for a satisfying meal. 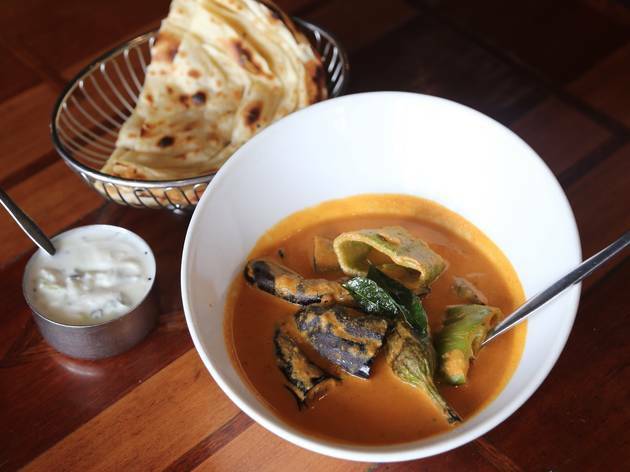 The ennai kathrikai features thick, meaty hunks of smoky eggplant and crunchy banana peppers cooked Hyderabadi style, in a creamy curry of ground cashew, peanut and coconut. Dive into the veg and mop the rest up with strips of paratha lachadar – shallow-fried flatbread that’ll capture every last drop between its flakes and folds. 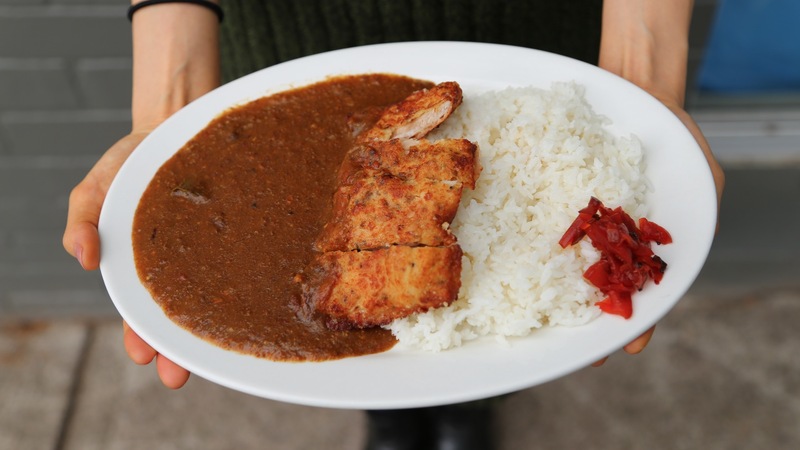 Sure, the big queue snaking around the corner of Falcon Street is here for the ramen, but now you know something the rest of these unenlightened folks don’t – Ryo’s also does a killer curry. Japanese-style curry is made by simmering down carrots, potatoes and onions in a roux along with stewed beef, resulting in a thick, deeply savoury gravy that’s got a hint of sweetness from all the hidden veg. Don’t be swayed by the tonkotsu being slurped around you and you’ll be rewarded with a generous serving of this liquid gold, hugging a shoreline of steamy short-grain rice, all topped with a crisp-fried chicken thigh. Ramen, what ramen? 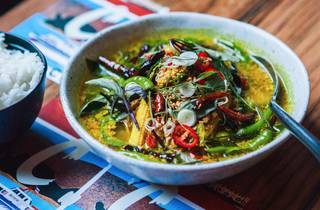 It comes with a warning (“It’s real hot!”), heralding your dance on the right side of the pain/pleasure divide, courtesy of scud chillies used in this complex curry rich with turmeric, thai basil and lemongrass. Grilled slices of pork and salted duck egg provide body to the dish, while peanuts and baby corn add crunch. As for the fire-tempering relief of coconut milk? 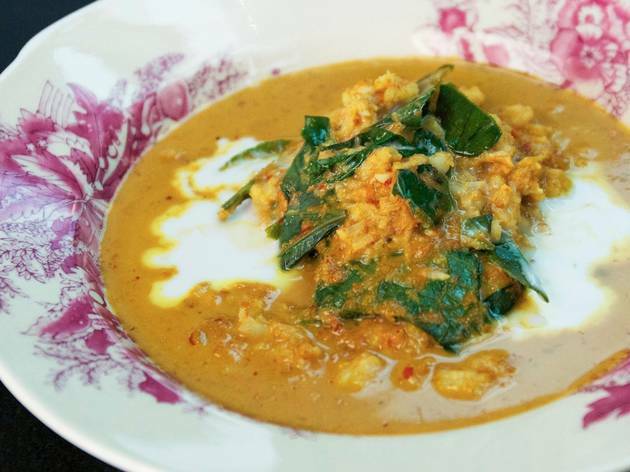 You’re out of luck – jungle curries are so named for the region they’re from in North Thailand, where coconut trees aren’t found. Another round of spritzes then? 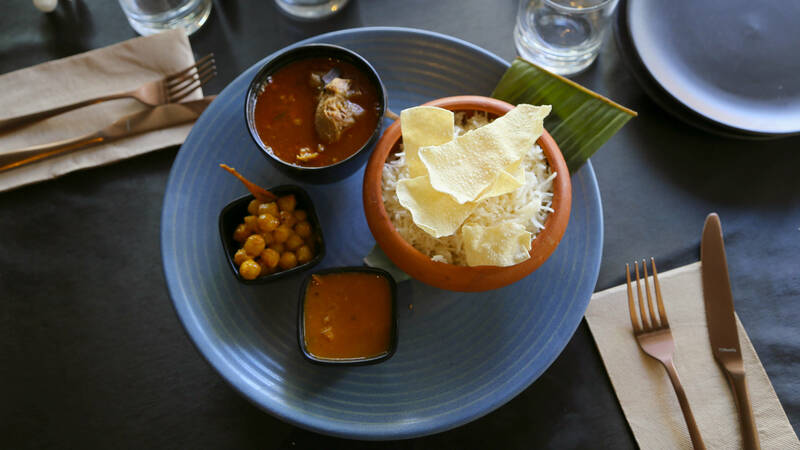 When it comes to top-notch curries, it’s stiff competition on Wigram Street, Harris Park – Sydney’s own Brick Lane of Indian restaurants. 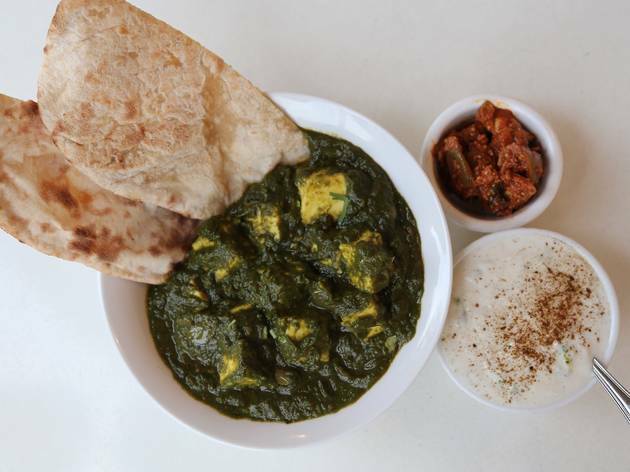 However, Ginger’s rendition of the classic palak paneer is the softest, smoothest, most verdant of the lot. Who knew eating spinach could seem so luxurious? Bolstered with ample garlic and a litany of spices from cumin to cardamom, this vibrant green gravy is a perfect partner for blocks of bouncy paneer folded throughout. It’s delicious enough to spoon down alone, but for civility’s sake, order a side of fluffy naan to make this winner last longer than a blink. 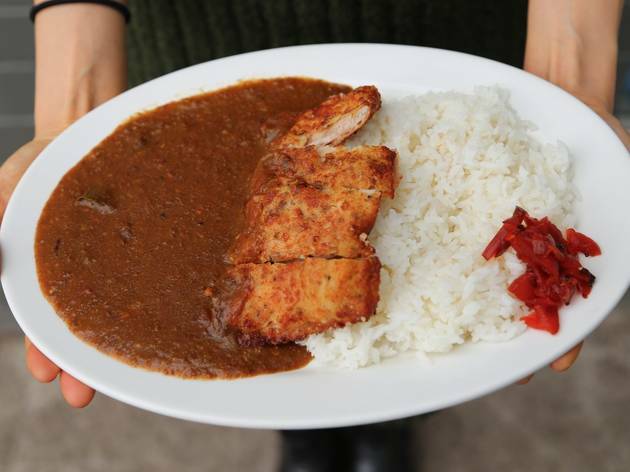 Central to every great curry eating experience is the carby canvas you mop it up with. 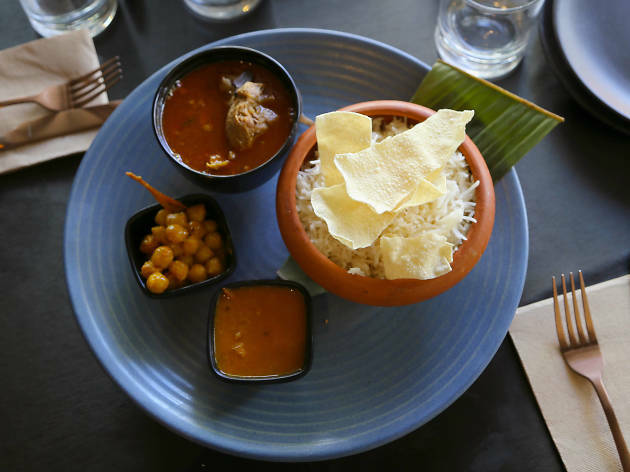 At Dish, a cosy Sri Lankan joint at the Rozelle Bay end of Glebe Point Road, basmati is provided, but why not expand your repertoire beyond rice and flatbreads by chucking in a few extra dollars for hoppers? The bowl-shaped pancakes, made from fermented rice batter, are crisp at the edges, chewy in the centre and a next-level curry accompaniment. There are endless ways to mix and match hoppers, sambals and curries at Dish, but a standout is the tender slow-cooked goat curry, stewed on the bone with a side of saucy chana masala. At their first hole-in-wall location in the corner of a Strathfield shopping plaza, Ho Jiak’s kitchens tapped into a thirst for nyonya cooking – hybrid Chinese-Malay cuisine – so strong that patrons quickly spilled out onto the communal seating outside, carefully balancing trays of steaming char kway teow and nasi lemak as shoppers bustled past with their groceries. Their new two-storey digs in Haymarket is a significantly flashier operation, but it’s still their homestyle dishes that are drawing the biggest crowds. 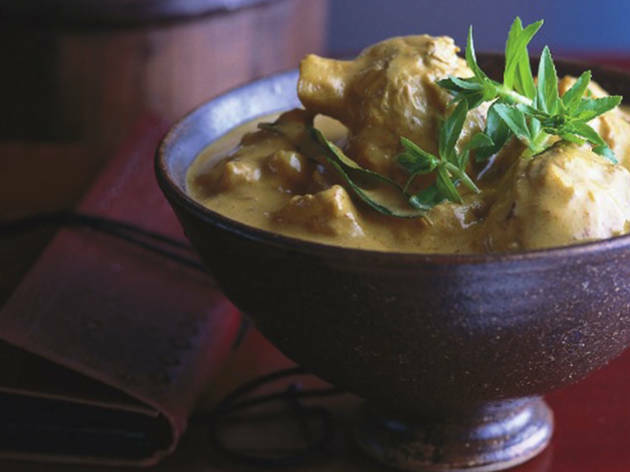 Their kapitan kari – Captain’s Curry – is a classic, based around a dry spice paste of lemongrass, galangal, turmeric, chilli, anise, cloves and peppercorns, with tang from tamarind and a little sugar to balance out the punch. 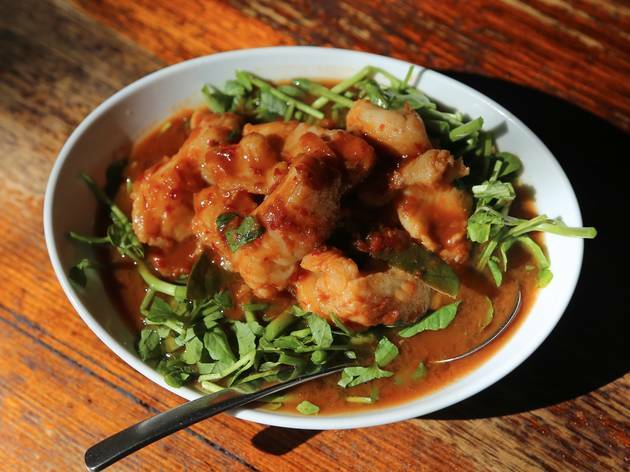 While you can always depend on a mean massaman at this Surry Hills Thai institution, for a curry unlike the ones you know – clean, zesty and green – try the kang som pla, a sour and spicy fish curry that omits coconut milk for a lighter, but no less punchy dish. The tang of tamarind is leavened by palm sugar, while a wreath of fresh watercress adds crunch to generous cutlets of tender sea mullet. 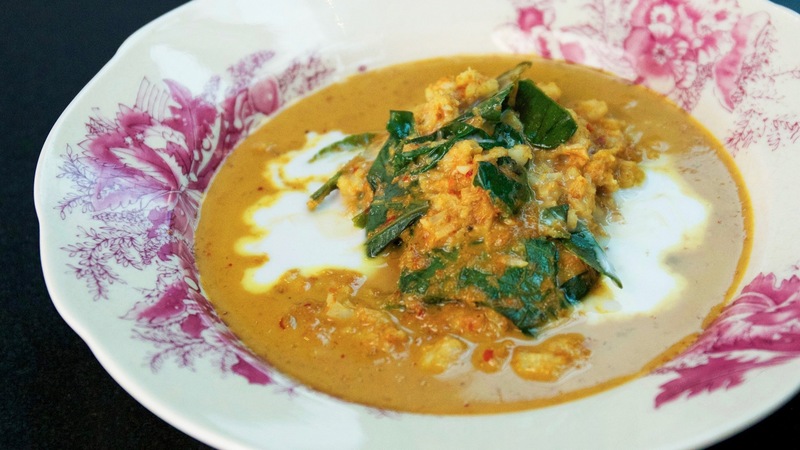 Pad it out with a side of jasmine rice, although this soupy curry is moreish enough to drink on its own. 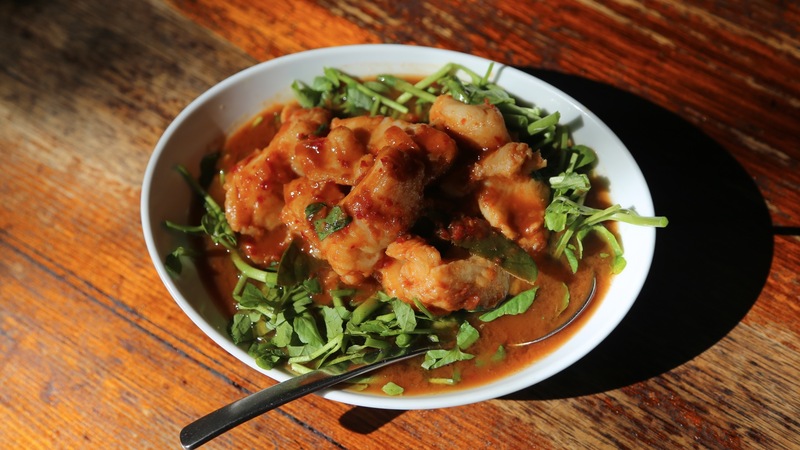 Luke Nguyen’s decision to honour his father, who served the genesis of this curry as a breakfast dish at his pioneering Cabramatta eateries, is an inspired move. 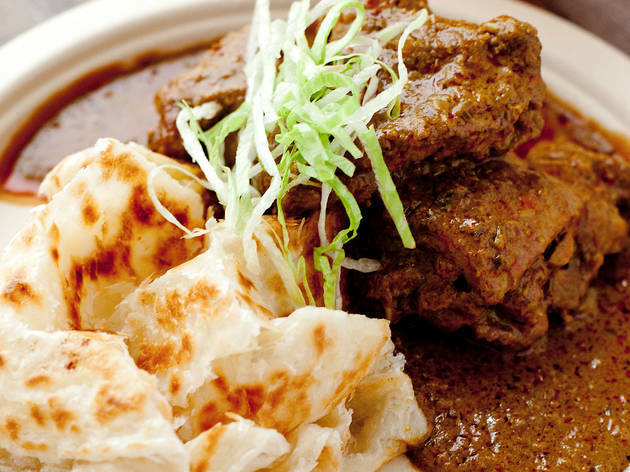 The goat meat, which is gently simmered for two hours, is fall-apart tender, but the marker of a truly great curry is that the protein is almost an afterthought. 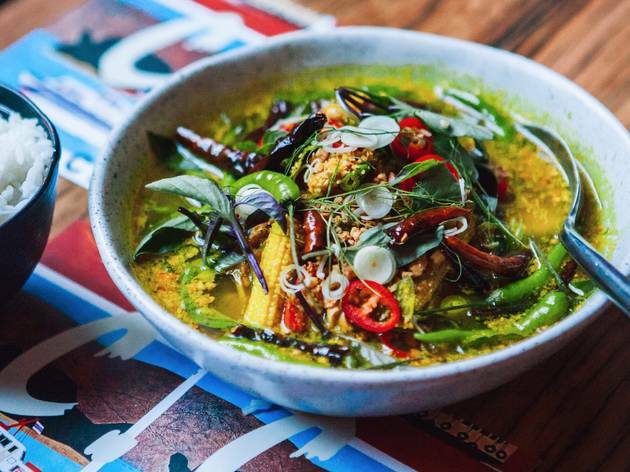 You simply want to tip a bowl of fluffy rice into that gloriously aromatic pool, earthy with galangal, turmeric and spices, lifted with lemongrass and smoothened with a trifecta of coconut, milk and yoghurt, and have your way with it. 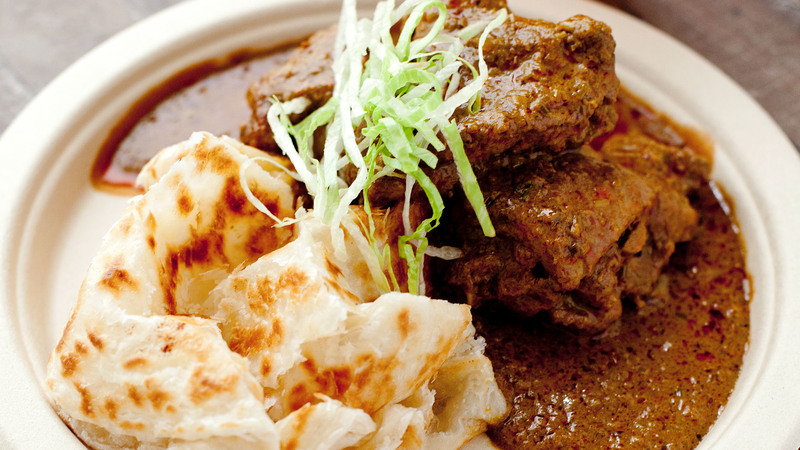 We declared Alex Lee Kitchen possibly the “best place to eat in Spice Alley”, and the Singaporean chef’s beef rendang is a big part of that calculation. 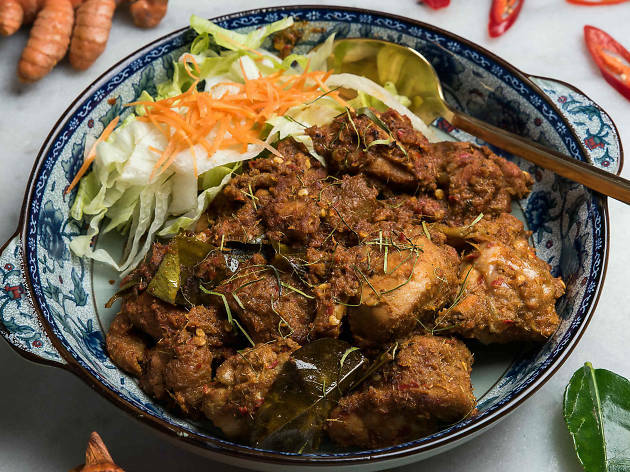 Having honed his trade at Parramatta’s storied Temasek, Lee’s rendang shares DNA with the greats, featuring fall-apart chunks of beef swimming in a rich, earthy curry thick with coconut, heavy with ground spices and given a touch of lemongrass zing. Roti and rice are offered, but go with the roti – a crisp, chewy and stretchy jumble that’s ideal for dipping into this unapologetically #uglydelicious curry.